Dura Lube Advanced Engine Treatment brings you tomorrow’s technology today! Compatible with all motor oils, Dura Lube Advanced Engine Treatment is safe and effective for any vehicle and contains no PTFE. This precision blend of high tech components bonded through a unique processing sequence that ultimately reduces wear and friction to prolong the life of your engine with SR3. 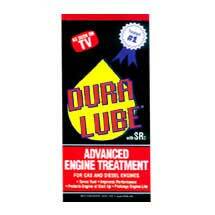 As a special bonus, Dura Lube Advanced Engine Treatment comes with a free 8 oz. Advanced Transmission Treatment, Funnel, Drainpan, and Pourspout.